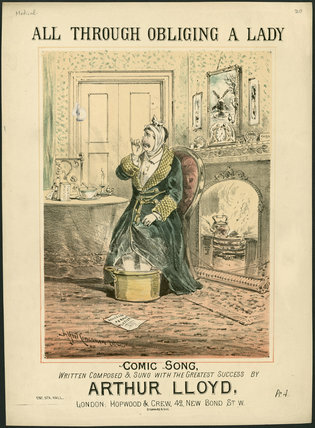 Music cover with medical themes (19th century): All through obliging a lady. By Hopwood & Crew. London, England, 1882.